There is a common saying that Arab people by definition cannot be perpetrators of anti-Semitism for they are Semites themselves. If we look at the etymology of the word this is obviously true, as the term “Semitic” actually only refers to a language group, that includes among others also Arabic. If we look at the history of the term, however, we find that anti-Semitism is a pseudo-scientific concept that was/is used to suggest the existence of a Semitic “race”, referring exclusively to Jewish people. The term was coined by German anti-Semites in the 20th century, to provide a more scientific sounding expression for the term Judenhass, “hatred towards Jews” and this is what the term denotes until today: enmity towards Jews as Jews. With the rise of Islamophobia during the aftermath of 9/11, the deterioration of the situation in Palestine/Israel, as well as a rise in anti-Semitic threats and attacks globally, there has been a growing trend among conservative scholars, as well as western mainstream media outlets that tries to prove that anti-Semitism is inherent to Islam and a widespread sentiment among the peoples of the Middle East as a whole. At the same time, most scholars of the Middle East managed to illustrate through their work that European style anti-Semitism is a rather new phenomenon in the Middle East. Most likely, those same scholars claim, anti-Semitic sentiments were imported to the Middle East via Europe from the 20th century onwards, and coincided and intensified with increased Zionist activity in Palestine. Opinions are often split between those asserting that non-Muslims were suffering as "second class citizens" under despotic Muslim rule, and those claiming that, to the contrary, Muslim rule distinguished itself by a great sense of tolerance towards its non-Muslim citizens. Yet as Gudrun Krämer asserts, "neither the 'black myth' nor the 'white' one does justice to the complexities of the historical experience, which rather unsurprisingly was characterized by various shades of grey". First of all it is important to note that under Islamic rule, Jews constituted only one out of many minorities and that discriminatory policies were thus not directed at Jews as Jews, but rather applied to all non-Muslims living in the respective territory . Islam distinguishes between pagans and polytheists and "the people of the book", such as Jews, Christians, and others, whose monotheistic faith was founded, like Islam, on a book of revelation. While the former group of pagans should be "fought until they either converted to Islam or were killed and enslaved", the latter group's status was regulated by the dhimma contract of protection, which assured the integrity of the lives, bodies, and property of the members of religious minorities and also allowed for the sometimes limited practice of their respective religion. Obviously again, there is great diversity in the very definition of the dhimmi rights and obligations according to different schools of Islam, and also the forms of implementation of the contract varied considerably from one location and period to the other. The often mentioned spatial and residential segregation, based on ethnicity, religion, status and occupation, was a common feature in Middle Eastern towns and cities and should not be attributed to enmity to specific groups. 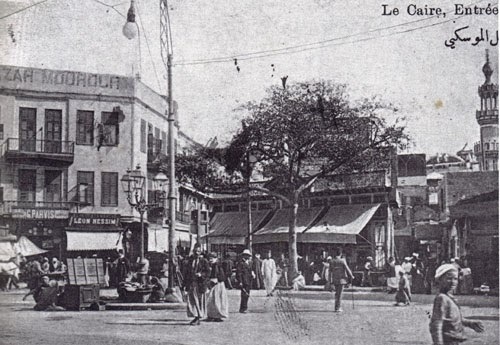 Non-Muslim minorities formed neighbourhoods around particular areas of the city, but were not necessarily closed off or, segregated or even ghettoised by force, as is often claimed. The closed Jewish ghettos in early Morocco and Yemen, constituted an exception rather than a rule. 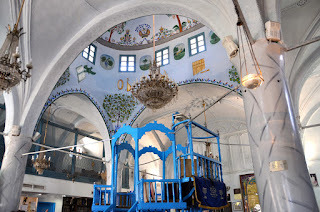 Regarding Islamic representations of and references to Jews, it should first be stated that "negative assessments and even condemnation of prior religions and their adherents” have never been a characteristic feature of Islam alone, but occurred in all three scriptures including Judaism and Christianity. Furthermore, Krämer states, there is not one fixed “archetype of the Jew” in Islam, as Qur'anic references to Jews are both positive and negative, and their interpretation through Muslim scholars have always been subject to change. As a historical fact, the now so commonly cited charge of treason against Jews, for instance, did not have any practical import for many centuries of Muslim-Jewish co-existence. So in order to truly understand the dynamics of the increasing enmity towards Jews, Islamic anti-Semitic discourses should be appropriately contextualised without downplaying their negative, essentialist character. As already stated in the introduction, there is general agreement among scholars that "core features of Christian anti-Judaism and modern anti-Semitism entered the Middle East through contact with Europe". 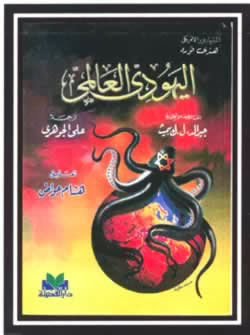 The translation and dissemination of canonical anti-Semitic texts from Europe, such as Shakespeare's Merchant of Venice, greatly contributed to the establishment of the stereotype of the cruel and greedy Jew among Arab audiences. Other texts, most notably the Protocols of the Elders of Zion, a pamphlet claiming to detail the Jewish aim to dominate the world, which originated in Russia in 1903, was apparently first disseminated in the Middle East in the 1920s by Christian groups. Similarly the notorious "blood libel" accusations, the false claim that Jews kidnap and murder Christian children to use their blood as part of religious rituals, that were spread in Europe since the Middle Ages and resulted in the arrest and killing of countless Jews, were first spread in the Middle East by Christians in the early 20th century. Arab sympathies with Germany were largely premised on Germany's perceived antagonism towards Britain and France, the major colonial powers in the region. Strategic considerations á la "my enemy's enemy is my friend" played thus a much more important role than ideological affinity. At the same time however, the growing Arab nationalist movements, which formed mainly in opposition to European colonialism, did also show admiration for elements of the fascist ideology, such as its organisation, its symbolic politics, as well as the emphasis on unity, discipline, strength and power. Striving towards a national rebirth, beyond confessionalism and sectarianism, directed by a strong leader, who places the common good above individual interest, seems to have constituted the major appeal of fascism to the nationalist movements in the Middle East, rather than its inherent racism and anti-Semitism. The rise in anti-Semitic attitudes in the Middle East is undoubtedly connected to the Zionist enterprise in Palestine. While some actors put an effort in distinguishing between Zionists and Jews, and thus between anti-Zionism and anti-Semitism, the very distinction between the two was complicated by the Zionist movement itself, that claimed to represent global Jewry. At the same time it has also to be stated that Palestinian resistance to Zionism was not confined to Zionist and British institutions, but included assaults on individual Jews, Jewish establishments and neighbourhoods. The most notorious figure within the discussion of Palestinian anti-Semitic attitudes during the Mandate period is undoubtedly Hajj Amin al-Huseini, the British appointed mufti of Jerusalem. 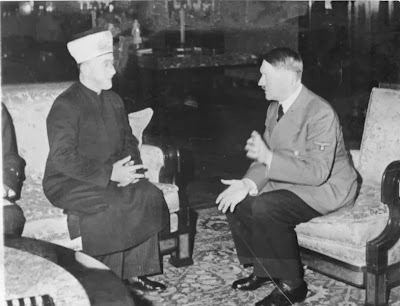 The mufti's sympathies with fascist Italy and Germany, as well as his active involvement in the German war effort during his stay in Berlin from 1941 to1945 are widely documented and the fact that his anti-Zionist stance took on a decidedly anti-Semitic colouring cannot be questioned. It should however be noted that al-Husseini's attitudes towards Jews were not shared by all Palestinians, and also his leadership role was not recognised by all. The defeat of the Arab armies and the mass expulsion of Palestinians in 1948 led to a redefinition of Arab nationalism which came to be associated with anti-Zionist and anti-imperialism, as well as intent upon destroying the "Zionist entity". At a time when canonical anti-Semitic texts such as the Protocols of the Elders of Zion and Mein Kampf were increasingly discredited in Europe, they started to be widely circulated in the Middle East. The sudden appeal of those texts was probably mainly based on their capability to provide an explanatory framework of the Arab impotence towards what was perceived to be a Jewish world conspiracy assisted by western colonialism. For the first time, anti-Semitic texts started to be published and distributed with government support, especially in Nasserist Egypt, and also some Islamic scholars and movements started to agitate against Jews as a whole, designating them as enemies of Islam on both religious and political grounds. Zionism and the establishment of the state of Israel thus clearly changed the frame of reference for many Muslim authors. Since those years there undoubtedly has been a rise in anti-Semitic discourses in the Middle East, many of which, through their imagery and used motifs, clearly show their rootedness in European anti-Semitism. The provision of an explanatory framework for the advent and spread of anti-Semitism in the Middle East should not be confused with a justification of the same. 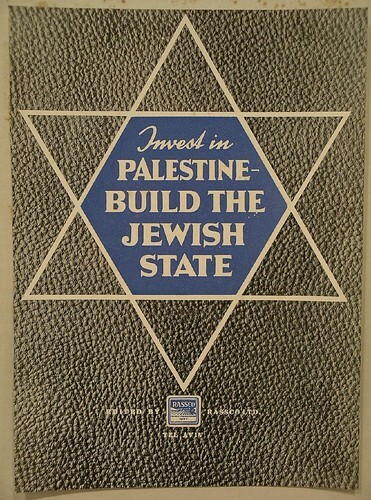 Similarly, the continuous violation of the basic rights of the Palestinians through the State of Israel, as well as the fact that Israel contributes to the blurring of the categories of Jews and Zionists, cannot be held responsible for the spreading of negative sentiments directed against Jews as Jews. Anti-Semitism and racism need to be condemned and fought against, not matter the context or origin.